Pleasant holiday apartment for 4 persons, ideally situated in the centre of Antibes just 5 minutes' walk from the sandy beaches of the Côte d'Azur. 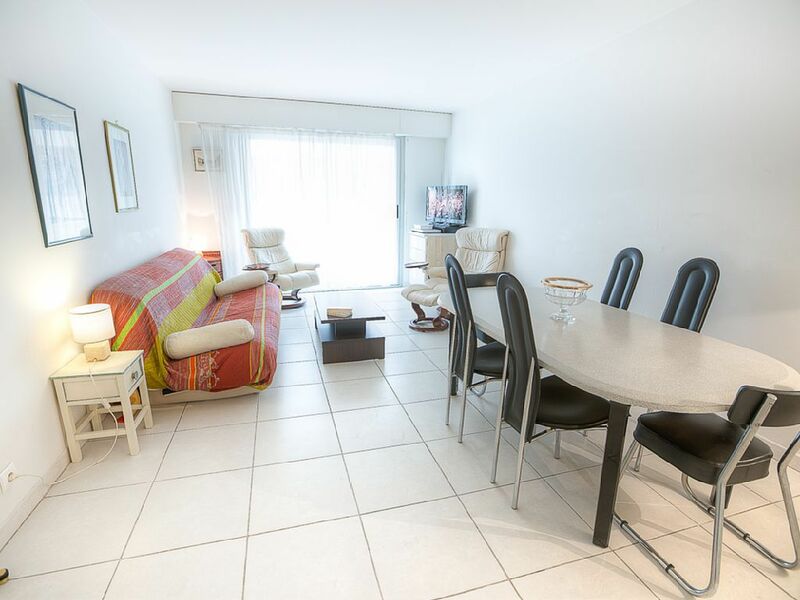 This 1 bedroom holiday apartment is situated on the 2nd floor in a property with lift built in 2006, located in one of the main streets of Antibes: Boulevard Albert 1er. Thanks to this very convenient central location, the apartmentt is an ideal pied-a-terre for those who want to go everywhere without using a car, as everything can be reached in a few minutes' walk: the numerous shops and restaurants of the town centre, the local supermarket, the old town and its provencal market, the Place De Gaulle and the tourist office, the Cap d'Antibes and its nice walking paths on the sea front, as well as the 2 beautiful sandy beaches Le Ponteil and La Salis. The apartment has a good level of equipment, like reversible air-conditioning system in every room, WIFI internet, electric shutters, washing machine and dishwasher, etc. The bedroom has 2 single beds (90*190) and sofa bed (140*190) in the living room. gemütliche wohnung mit allem was man braucht. sehr gute lage, direkt in der altstadt und am meer. ein schöner ort um ferien zu machen.